Whether you are a community, economic development organization, real estate developer or expanding business, our land use and economic development expertise can add significant value to your projects. Here’s an example of value we’re adding to a project by changing the land use and zoning. On a 6-1 vote Wednesday night, the Auburn Planning Commission recommended the City Council approve a comprehensive plan map amendment and rezone for 1.89 acres that our firm has been pushing through the City’s annual docket cycle on behalf of a client. If approved by the City Council, the resulting zoning would increase the density of the site by as many as 29 additional housing units. In another example earlier this year Toyer Strategic successfully amended the matrix of permitted uses in the City of Pacific, Washington to allow a client to move forward an industrial warehousing in an office park zone – a obvious win for the project developer, but also a key win for a city which hadn’t seen much new development in that zone. 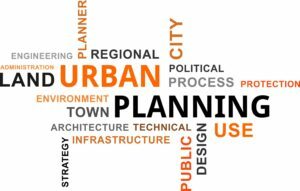 Tagged clients, comprehensive plan, economic development, growth management act, housing, land use, project management, regulations, site selection, washington state, zoning.